The Manhattan tower and landmark, reinvented. 111 West 57th Street represents commitment to the quality of craft, history, and thinking behind New York City’s classic skyscrapers. The development will be a combination of the original landmarked Steinway building designed in 1925 by Warren & Wetmore, and a new residential tower addition designed by SHoP Architects on the adjacent site with interior design by Studio Sofield. The tower’s form multiplies the set-back to present a feathered, rather than a stepped profile. The terracotta facades and bronze filigree aim to bring back the quality, materiality and details of historic New York towers, while taking advantage of the latest technology to push the limits of engineering and fabrication. 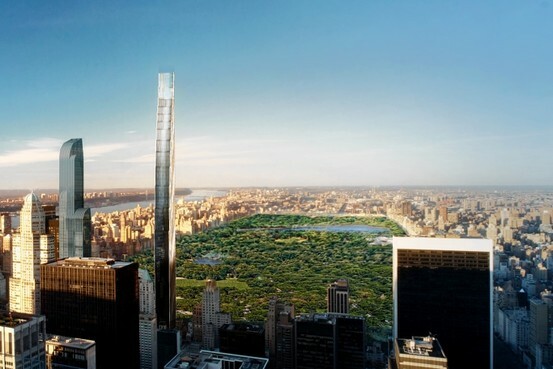 The project will feature full floor and duplex apartments with 360-degree views and unparalleled views of Central Park. Drexel University and Brandywine Realty Trust announced their partnership and unveiled plans for Philadelphia’s Schuylkill Yards, a 14-acre master planned community. Initial phases of the projected 20-year development plan will consist of 5 million square feet of mixed-use real estate on a 10-acre site next to Drexel’s main campus and adjacent to Amtrak’s 30th Street Station and Brandywine’s Cira Centre. 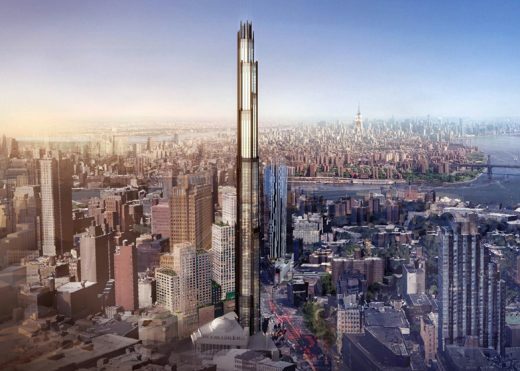 Proposal for the tallest tower in Brooklyn: The 73-story building is to be built by JDS Development Group and the Chetrit Group. NEW YORK (February 18, 2016) ─ The 2016 Gala + Auction of the National Academy Museum & School is set for February 24, 2016 at Tribeca Rooftop (2 Desbrosses St in New York City) at 6 p.m., to support the Academy’s many programs benefitting aspiring artists of all ages, particularly those from underserved communities in New York City. The event will include both a live and silent auction, dinner and dancing, and honor the groundbreaking work of SHoP Architects, regarded as a firm that is redefining innovation in urban design. 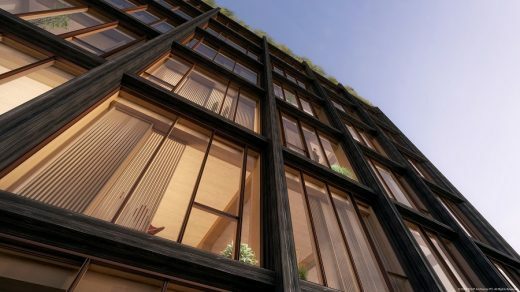 Located in Manhattan’s West Chelsea neighborhood, 475 West 18th Street is a ten-story residential condominium building designed immediately opposite the High Line, report SHoP Architects. Rock Ventures announced it has selected SHoP Architects as the architect of record to lead the design process for the 2-acre site of the former Hudson’s Department Store in downtown Detroit. 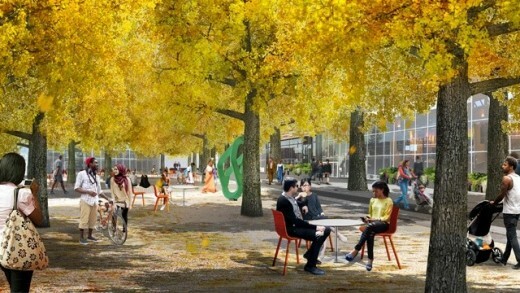 Headquartered in NYC, SHoP will partner with Detroit-based Hamilton Anderson Associates (HAA) to create an innovative concept for a signature development on Woodward Avenue in the heart of Detroit’s Central Business District bordered by Gratiot, Grand River and Library Street. Groundbreaking on B2 residential tower in Brooklyn, due to complete by summer 2014. Event attended by the NYC Mayor. The 675,000 square-foot Barclays Center with 18,000 seats, is the nucleus of $4.9 billion Atlantic Yards development project for Prospect Heights. The project spreads over 22 acres and also includes 16 office and residential towers. June 6, 2016 in Architects.